In business for over three decades, No-View Farm is a family-run farm sitting on 30-acres in Wolfeboro, the heart of the New Hampshire Lakes Region. Since opening in 1986, we pride ourselves on producing naturally and humanely raised, locally grown, meats and poultry - free of growth stimulants, hormones and antibiotics. We proudly offer farm fresh Thanksgiving Turkeys, Roaster Chickens, Custom Cut & Flash-Frozen Freezer Pork and Grass-Fed Beef. We can provide you with a year-round supply of fresh meat for your freezer or smaller quantities for tonight’s dinner. 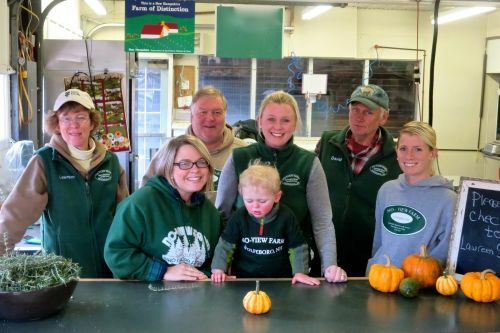 Products are available from the farm store (by appointment) or at Bly Farm Stand located at 620 Center Street (Rte 28) in Wolfeboro from June - October. Some meats are available on a limited basis, so early orders are recommended! We look forward to being your farmer!